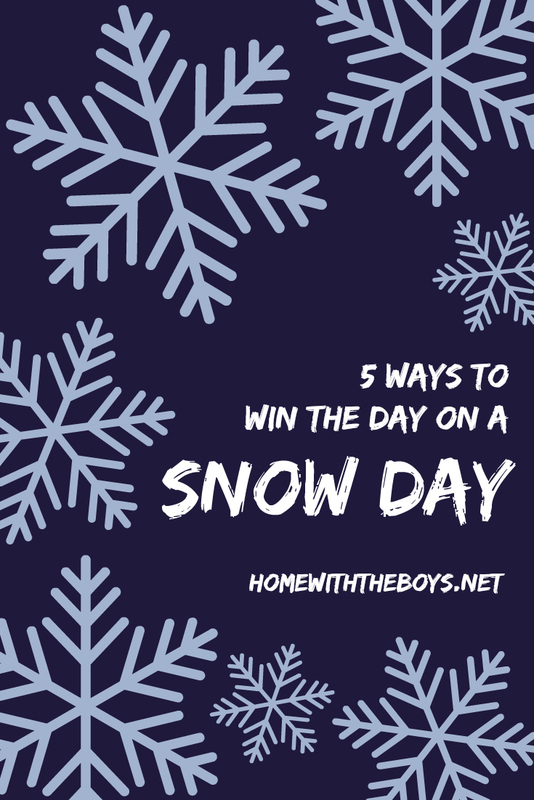 5 Ways to Win the Day On a Snow Day! I was compensated by Nestle for this post, including product to review. I have included affiliate and referral links below. When you purchase through these links, I may receive a small commission. Thank you for supporting this site and our sponsorship of our Compassion child, Samson! All opinions are 100% my own. It’s going to happen. I just know it is. The boys are in school this year and we live in Nebraska, so we will have a snow day and I want to be prepared. We used to homeschool, so a snow day meant a normal day of school for us, but all of that has changed this year. If the boys are home for a snow day, we won’t be doing any school work! Since snow days could pop up unexpectedly, I’m making a game plan right now so I’m not caught off guard looking for something fun to do! When coming up with a game plan to win the day on a snow day, consider your child’s interests and activities you find fun as well! Snow days are a chance for us to enjoy unexpected extra time with the kiddos and great memories can be made. Here are five ways we’re planning to win the day on a snow day! We’ve had a few snow days that were just too cold for outdoor play, but as long as the wind chill is not dangerous, we’ll be playing in the snow! Now is the time to make sure everyone has snow gear that fits, sleds are out of storage, and all the supplies for snowman building are on hand. I finally bought myself some real snow boots this year, so I’ll bundled up playing with my boys! There is nothing better in this world than coming in from playing in the snow to enjoy hot chocolate and warm cookies. I feel all cozy and happy just thinking about it right now! Stock your pantry with hot chocolate packets and make some cookie dough to keep in the freezer – this will leave more time for fun when that snow day arrives. Our kids love to draw, paint, color – just about anything artistic! 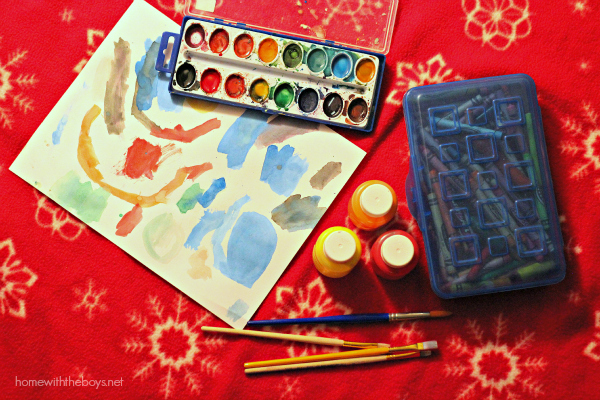 They could spend hours being creative and that sounds like a perfect (mostly) quiet activity for a snow day. Before the cold and snow arrive, I’m checking our art supplies to make sure we have plenty of paper, paint, crayons, etc. We also have several great drawing books, like this one from Ed Emberley, that I save for days like this as something special to do. Art time can be for Mom, too! Adult coloring books are fun and relaxing – this is one of my favorites! 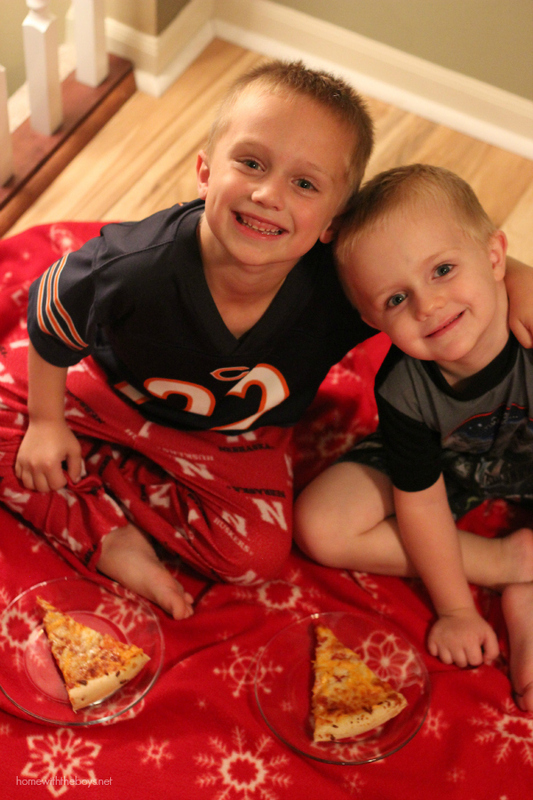 Our boys get super excited when we put a blanket down in the living room and have an indoor picnic. It’s a simple thing, but they love it so much! They also love pizza, so I have my freezer stocked with Jack’s Pizza to pull out for a snow day picnic in the living room. 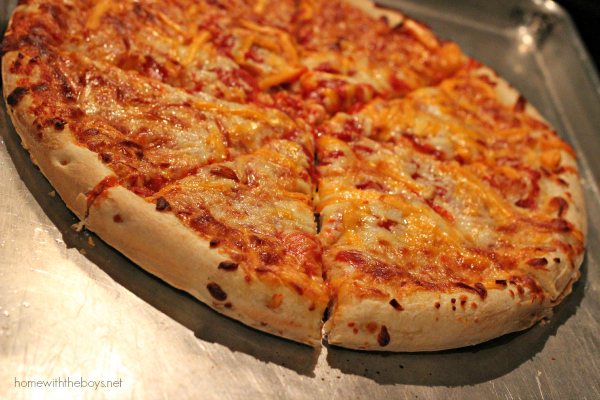 Jack’s Pizza is a great choice for a snow day because it is easy to make, delicious, and a great value – what more could you want?! 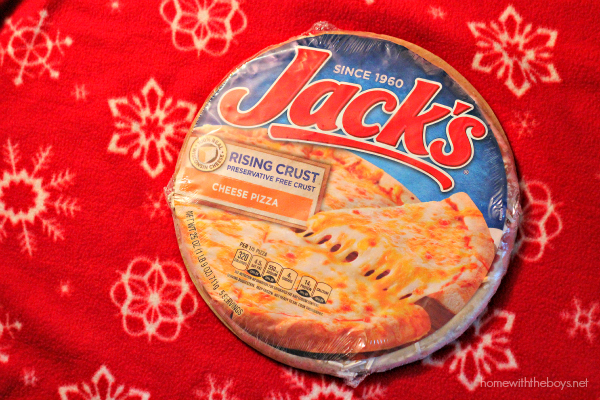 It is made in the Midwest with 100% real Wisconsin cheese and a preservative-free crust, so you can feel good about gathering around a few Jack’s Pizzas on a cold, snowy day! I’m not crazy about ice, wind chills, and dangerous roads, but these ideas still have me excited for our first snow day of the year! We will be ready for family fun as the snow accumulates! Hope to see you at the party – maybe you’ll be one of the big winners!